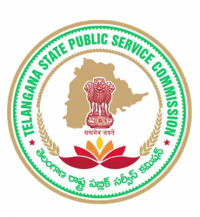 TSPSC MPSO Recruitment 2018: Telangana Govt has released Mandal Planning and Statistical Officer (MPSO) Recruitment notification 2018 to fill 474 vacancies. Interested candidates can apply online from 8th June onwards at tspsc.gov.in. ii. Last date for submission of ONLINE applications Dt. 02/07/2018.The payment of Fee will not be accepted after 11:59 P.M of last date for submission. Applications for the posts of ASO (12/2018), VRO (13/2018) & SENIOR STENO (14/2018) is Extended from 02/07/2018 to 08/07/2018 upto 11.59 PM. The Scheme & Syllabus for the examination has been shown in ANNEXURE-III. B.tech completed students are eligible for these posts?? ?